Tell members about HEARD before inviting them. Here's a letter you can edit and share. Post content before others join, like a welcome post, photo album or upcoming event. This will give others something to engage in when they join the group. Select your group under My Groups. Click Invite People (second icon). 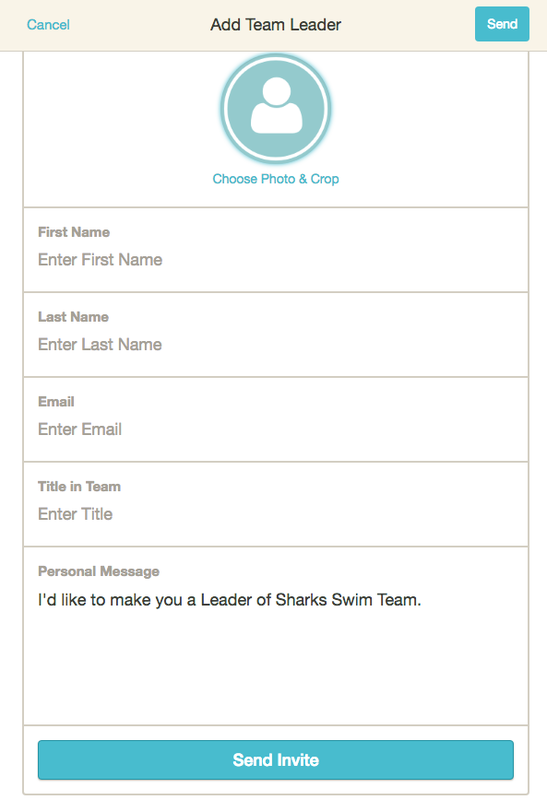 If you’re a group admin, click +Add Class Leader* to add another teacher, room parent, or coach. Click +Add New Members to add parents. special Invite Link to join. *Only group admins have access to add Class Leaders. Non-admins will not see this feature. Learn more about the role of admins here. Complete all fields and click Send Invite. If a person is already in another group with you (i.e., a school group), their name will pop up. Select their profile. +Add New Members: Enter member email addresses in the To field with comma separating each address. If you are a school group, HEARD can help invite your entire group. Contact support@heardnow.co. For teachers inviting parents to a class group that is a subgroup of a school group on HEARD: You can search by a child's name to find their parents to invite. Once their parent pops up, select their profile and they'll be added to the invite. If you don't see a child's name when searching, either their parents have not been invited to the school group or they have not added their child to their profile. Emails of members invited to join a group on HEARD are automatically opted-in to group communications via email. Any person can opt-out of HEARD communications or adjust their notification preferences via the Settings page. To access the Settings page, click on your name at the top right of web version or on the menu icon at the top left on the mobile iOS app. Your members will begin receiving email notifications for activity happening in the group once invited. Encourage your members to update their profiles and adjust their notification settings. Our online Help Center can help you navigate the platform.